I'm re-reading Harold Weisberg's book on the MLK case "Frame-Up." and came across a passage that could apply to so many other things that have happened since the assassinations of the 1960's. FYI, about Stuart Wexler and the MLK assassination. Stu is working on a book with Larry Hancock which is going to say that yes, James Earl Ray shot Dr. King all on his own because he heard about some scheme the KKK had. The KKK was offering a big sum of money, $100,000, if only someone would kill Dr. King for them. Ray heard this in prison and that's why he broke out, to kill King, and to collect the bounty. The book was previously going to be called "Seeking Armageddon: The Effort to Kill Martin Luther King Jr." Now it's got a new title "The Awful Grace of God: Racial Terrorism and the Unsolved Murder of Martin Luther King Jr."
Promote a Lone Nut Story That Even Posner Wouldn't Peddle." Could James Earl Ray, who pleaded guilty to the assassination of Martin Luther King Jr., have made contact with the White Knights of the Ku Klux Klan in Mississippi? Stuart Wexler and Larry Hancock, co-authors of the upcoming book, Seeking Armageddon: The Effort to Kill Martin Luther King Jr, are investigating that possibility. FBI records show fingerprints found after King’s killing were checked against thousands of people, but Wexler said he has yet to find documents that show the FBI checked to see if these fingerprints matched any members of the White Knights of the Ku Klux Klan in Mississippi, which reportedly had a $100,000 bounty on King. Stuart Wexler and Larry Hancock, authors of an upcoming book,Seeking Armageddon: The Effort to Kill Martin Luther King Jr., are exploring evidence related to the White Knights. The White House has a website where you can create a petition and if there are enough people who sign onto it it will be brought to the attention of President Obama. 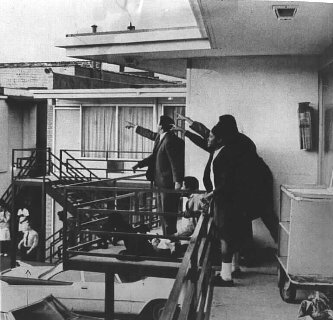 The petition has been created to release all governmental files relating to the surveillance on Dr. King, his assassination, and the investigation into his assassination. It needs 25,000 people to sign it. I am supporting this. You do need to create an account. The White House site will send you an email back, and then you do what it says. Then you have an account. Then you can sign the petition. I was the 15th person to sign it. We need you to sign this and please ask your friends to sign it too.